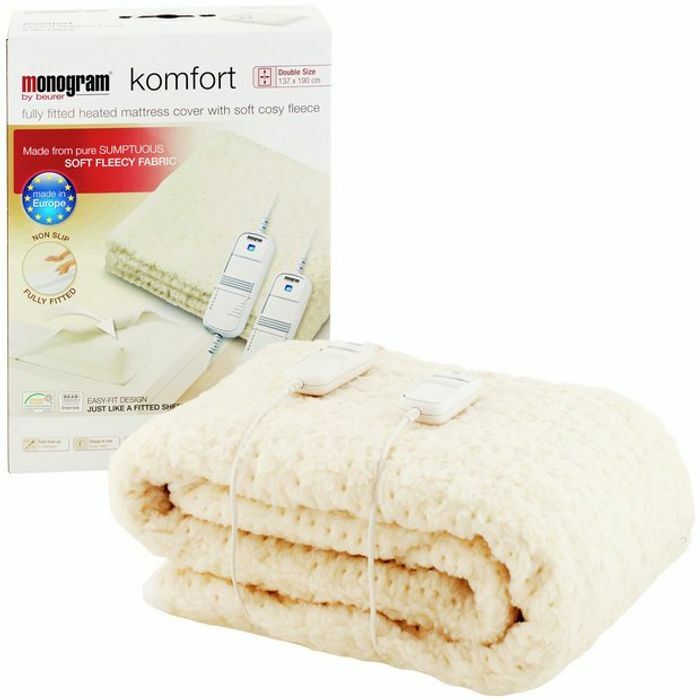 Komfort heated blankets are made with luxuriously soft fleece to offer maximum warmth and comfort. This double heated mattress cover has an elasticated skirt so it fits to your mattress as easily as a fitted sheet. The detachable dual controller has 6 temperature settings, including an all-night one. For peace of mind, it features a Sleep Safe System that will auto switch off to prevent overheating. Size W137, L190cm - suitable for double bed.